Onyx set-top box offers Internet TV and streaming services | What Hi-Fi? 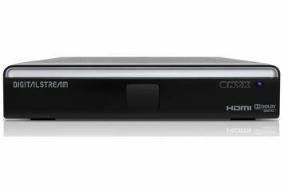 Developed by Oregan Networks and Digital Streams, the Onyx STB is developed specifically for the UK and can access Internet video services, HD video and music, plus photo sharing and social networking sites. The likes of YouTube, BBC iPlayer, Facebook and Twitter will be accessible via the Onyx STB, offering both free and paid-for content. It's also DLNA-enabled, allowing you to connect to your home network and stream from similarly equipped kit around your house. Adaptive bitrate technology should make sure your streaming is uninterrupted, while HTML and Adobe Flash support ensures compatability when browsing for content. The Onyx STB box will sell for 'below £90' and is available imminently through high street retailers and should be on sale online from October.